Part of the PVD trade association remit is to both help car care professionals hone and develop their skills, and provide an assessment structure that allows them to show customers and peers that they have the skills and experience to safely provide the services they offer. The modules have been developed with the PVD board, a group comprised of highly experienced detailers, manufacturers, and specialised consultants including chemists, insurance professionals, and education providers. It is important to remember that assessments are not passed simply through attendance. The modules need to be challenging in order to be worth taking - only book an assessment if you are confident you will be able to pass it. If candidates are unsure if they are ready, they should contact an Approved Trainer to discuss their options. The accreditation process is a two stage process that has a total of ten core assessments. After successfully completing the first five assessments, candidates are eligible to apply for Accredited Valeter Status. This is purely an administrative process, incurring no cost. On completion of all ten core modules, candidates are eligible to apply for Certified Detailer Status. These are assessments only, not training courses. Candidates may choose to take multiple assessments in a single day, or they may take the assessments as part of a training course. Candidates have the right to choose which PVD Approved Trainer they take their assessment with. Candidates can take assessments in any order they wish, though it is advised to take the first five modules prior to attempting the second five. Special provision will be made for candidates with specific learning difficulties on request. There are minimum professional experience requirements for both levels of accreditation, but members may take the assessments prior to reaching the required experience levels. Assessments are carried out by ratified PVD Approved Trainers who meet rigorous standards and peer review. Assessment failures can, in certain circumstances, be appealed to the PVD board. Assessment costs cover the time of Trainers, learning materials, and administration. Each assessment has a fixed cost payable to the Trainer directly, and does not cover any additional training. Most assessments are taken at the Trainers premises but there is provision for mobile Trainers to come candidates premises at extra cost. Payment is required prior to booking and is none-refundable, unless the trainer has to cancel. This is a back to basics assessment that assesses a candidates knowledge and understanding of car cleaning principles. For self-taught candidates it will ensure any gaps in their knowledge are filled. For experienced candidates it will ensure their existing skills are up to date with the latest established methods. M1 is a two part assessment involving both theory and practical assessments. The theory assessment is taken under exam conditions and consists of 100 questions designed to cover all aspects of the wash and decontamination process. The practical assessment involves carrying out a full wash and decontamination on a vehicle under close observation while answering a range of verbal questions. Candidates will be provided with a suitable environment in which to take the examination, free from excess noise and interruptions. In the event more than one candidate is taking an assessment in the same room, the exams are to be held in silence with no conferring. The theory test is divided into sections, each section has a suggested timescale to assist candidates in managing the time available. Candidates should be provided with a clock in order to aid their time management. Candidates with specific learning difficulties may apply for extra time or assistance from an Assessor such as reading the questions aloud. All questions are to answered on the examination paper, which should be retained by the Assessor in case of appeal and to prevent wider distribution. Assessment papers are to be sent by PVD, not photocopied or printed locally, to ensure image quality and text clarity. Each test paper has a unique identification code specific to the candidate. Candidates will be asked to carry out a wash and decontamination on a supplied vehicle, including a basic engine bay clean. There is to be no time limit on the assessment, but the service should be carried out inside an appropriate timescale for the size and condition of the vehicle - the main areas to be assessed are, in order of importance: safety, efficacy, and efficiency. Candidates will be expected to assess a vehicle's condition and identify any specific areas that require special measures. Candidates should advise the customer (Assessor) on what they should expect from a wash and decontamination, including advising of risks and asking relevant questions. Candidates will be expected to show awareness of their working environment and take measures to minimise personal risk and risk to the public. Environmental risks will also need to be identified. Should the candidate fail to take appropriate PPE measures, the assessment should be halted and the assessor should provide appropriate equipment prior to continuing the assessment. Details of appropriate PPE will be listed for each assessment on the assessors information document. Candidates will be required to take suitable precautions for the security of the vehicle while in their custody - including protection from theft or third party damage. For motorbikes candidates will be expected to have a basic knowledge of how they should be steadied and manipulated for the purposes of cleaning. For those insured to work on marine craft and aircraft, a separate module will be developed specifically for those types of vehicles. Candidates will be expected to select appropriate equipment, chemicals, and methodology. Candidates should be able to answer questions on why they have made specific product and equipment selections. This should be in context of considering alternative pre-wash techniques - such as in the event the vehicle was not due to undergo decontamination. Candidates should carry out pre-wash steps correctly, in a suitable order, and demonstrate a safe, effective, and efficient methodology. Candidates should be able to answer questions on why they have made specific product and equipment selections. Candidates are expected to dry the car safely and answer questions on the topic such as water spotting. Candidates will be expected understand what safety precautions should be taken when working on vehicle engine bays. This includes safety to both the candidate, and to the vehicle itself. Candidates will be expected to identify different engine bay components, establish a cleaning methodology and risk factors, and then implement their plan. Candidates will be required to advise customers as to the potential risks of working on an engine bay, and take suitable precautions to limit their liability. Candidates will be expected to walk the 'customer' around the vehicle and identify where and what type of contamination is in evidence. The supplied vehicle should have a reasonable level of contamination. Candidates are expected to explain how they will remove specific contamination, justify their strategy, and caution against specific risks. Candidates will be expected to remove as much contamination as possible safely. Candidates will need to demonstrate clay-bar technique. Candidates will be expected to carry out any and all processes expected post-decontamination that would prepare a vehicle for LSP or paint correction. Candidates should be shown some form of contamination that cannot be safely removed without machine polishing, and identify that it is un-safe to remove without such measures. Candidates should re-assess the vehicle and identify missed areas and/or areas that would benefit from further work - regardless of whether said work is within the remit of a wash and decontamination service. This module is designed to assess the candidates knowledge and ability to safely clean the interior of a vehicle. This includes specific stain removal from fabrics, plastics, painted interior surfaces, vinyl, Alcantara, and leather. Leather repair and recolouring is covered in module 9. Module 1 is a two-part assessment with both theory and practical elements. The theory assessment is designed to test the breadth of a candidates knowledge, whereas the practical is more about ensuring candidates can demonstrate an appropriate attention to detail. Candidates will be asked to carry out a full interior deep clean, to include at least one specific contaminate or stain removal. The time available is 90 minutes, but this not designed to rush the candidate. The candidate will need to demonstrate the following skills during the 90 minutes provided, but not always expected to treat the entire vehicle, especially with large or heavily-soiled vehicles. Candidates will be expected to assess the condition of the vehicle, to include identification of all the different materials present, and verbally present a plan of action for the specific vehicle. Candidates should advise the customer (Assessor) what can be achieved by the previously stated plan, and any areas that are already damaged or excessively worn prior to commencing work. Candidates should remove rubbish prior to commencing work on the vehicle. In the case of valuables and loose change, candidates will be expected to take suitable measures to ensure their safe storage. Candidates will be expected to positively identify the material(s) on all external areas of the seats. This includes mounts, surrounds, and controls (if fitted). Candidates should be able to answer questions on why they have made specific product and equipment selections. This does not include specific contaminant removal, which is assessed later. Candidates should carry out initial cleaning processes safely, efficiently, and thoroughly. On larger or heavily contaminated vehicles this only needs to be completed on the front seats. Candidates will be expected to identify the different materials used on all surfaces of the dashboard, including steering wheel and instrument binnacle. Candidates are expected to clean the dashboard area safely, efficiently, and thoroughly. As the 'service' requested is a deep clean, candidates will be expected to remove all dust and grime from visible surfaces. Candidates will be expected to show due diligence in terms of moving seats, opening glove boxes, and any other moving parts that aid access for cleaning. Exterior glass surfaces will be presented clean and free of smear marks to enable the candidate to accurately assess and clean interior glass surfaces. Candidates will be expected to use suitable chemicals, equipment, and methodology to thorough clean and, if necessary, degrease interior glass surfaces. Candidates will be expected to show suitable caution around rear-view mirrors, rain & radar sensors as appropriate. Candidates should demonstrate appropriate pre-cleaning and spot-cleaning techniques and be able to explain why they are using a specific methodology and chemical. Candidates will need to demonstrate proficiency with a steam cleaner. Assessing where is can be used, what it should be able to achieve, and to use it safely. Candidates will be expected to demonstrate competence with wet extraction on carpet or fabric seats. This includes advising the customer in regard to drying times. Candidates will be expected to carry out all cleaning procedures correctly prior to resorting to chemical treatments. Candidates will be expected to go through the motions of a chemical sterilisation process, though it isn't necessary to actually release chlorine based chemicals. Candidates will be expected to show awareness of the health and safety dangers of using such chemicals - as well as advising the 'customer' of precautions they may need to take. If the candidate puts themselves in danger at any point during the assessment, assessors should pause the assessment and intervene to ensure no injury is caused. Candidates should re-assess the vehicle and identify missed areas and/or areas that would benefit from further work - regardless of whether said work is within the remit of a deep clean service. Module three focuses entirely upon interior and exterior surface protection up to, but not including, the application of ceramic paint coatings. This module does however include the maintenance of ceramic coated vehicles. Awareness of any risks to human safety arising from a protection system or application process. Candidates will be presented with a washed and decontaminated car that has also had a thorough interior valet. For those taking the assessment in combination with modules one and two, the same vehicle may be used. Candidates will be expected to assess the condition of the vehicle, to include identification of all the different materials present. The customer (Assessor) will request protection be applied to several different interior and exterior surfaces, and ask for advice as to what options are available. Candidates should advise the customer (Assessor) as to what options are available for each surface, along with the benefits, disadvantages, estimated application time, estimated durability, recommended long-term care procedure, and approximate costs for each type of protection. Candidates will be expected to be able to name at least three branded products for each type of protection, and explain, in their opinion, the strengths and weaknesses of each named product. As these are opinions, answers should be judged on knowledge and appropriate train of thought, as opposed to the opinions themselves. Candidates will be asked to apply an organic wax to a large panel on the vehicle. Candidates will be expected to show environmental awareness - direct sunlight, surface temperature etc - and due diligence in terms of pre-application checks. Candidates will be expected to apply the wax thinly and evenly without missing areas. They will be expected to be able to judge when the wax should be buffed, and be able to deal with smearing, signs of over-application, and trim staining should it occur. Candidates will be asked to repeat the process on a different panel with a polymer sealant. The assessor will be judging on appropriate application techniques including application media selection. Candidates will be asked to repeat the process on another panel using a siloxane-based spray-sealant. The wax and polymer sealant can be either provided by the candidate or by the assessor. However, the assessor must provide the spray sealant, ideally a brand that is unfamiliar to the candidate. This is to test the candidates ability to handle an unknown product on the fly - reading instructions, judging the chemical behaviour, responding to how the chemical itself is behaving. The siloxane-based product has been selected for this purpose as they are usually less forgiving than waxes and polymer sealants - more likely to cure unevenly or become difficult to remove. Candidates will be expected to know how each protection system can be removed. Candidates will be asked to apply a hydrophobic glass coating to the vehicle. This should be a silane-based semi-permanent product, not a siloxane-based quick application product. Though the car provided has been decontaminated, candidates will be expected to take appropriate extra decontamination steps prior to application of the sealant. Candidates will be expected to apply the supplied coating as per the instructions, demonstrating due diligence and care. Candidates should advise the customer as to what they can expect from the coating in terms of performance, durability, and care requirements. Candidates will be asked to apply appropriate protection to an area of trim on the vehicle. This will vary depending on the car supplied, but can include black plastic rub strips or lower cladding, metal-effect plastic adornments, chrome or stainless details including exhausts. Alternatively, it could be alloy wheel faces (candidates will not be expected to protect an entire wheel as that would require the wheel removal, which is beyond the remit of this module and covered in a later stage 2 module. Candidates will be expected to select an appropriate product and methodology to protect the designated item. Candidates will also be assessed on precautions taken - such as taping surrounding areas - and their attention to detail - such as treating areas that are not easily visible. Candidates will be asked to apply protection to a soft surface - this can include fabric, carpet, leather, and Alcantara. Appropriate products will be supplied and candidates will be expected to apply it as per the product instructions. Any deviation from the instructions needs to be justified to the assessor but may still be deemed acceptable. Assessors will be looking for appropriate levels of care and detail when applying products, as well as appropriate precautions being taken. Candidates will be asked to apply protection to a designated hard surface inside the vehicle. This can include smooth painted and or lacquered surfaces or rough textured plastic materials. Candidates should re-assess the vehicle and identify missed areas and/or areas that would benefit from further work - regardless of whether said work is within the remit of the protection service. The fourth module is a written theory test only, there is no practical element. The theory test is extended to two-hundred questions and is designed to assess the candidates chemical knowledge. The key areas this module is designed to test is chemical safety, appropriate chemical selection, and a thorough understanding of what active ingredients are employed in various car care products. Of all ten modules, this is perhaps the most academic, demanding both a breadth and depth of knowledge. Candidates will then be required to attribute appropriate hazard warning signs to products for which they have the MSDS documentation. Candidates will be asked what PPE is appropriate when dealing with different chemicals. Candidates will be questioned in regard to first aid steps required in the event of various types of accidental chemical injury. Candidates will be given some questions on correct dilution ratios and how to achieve them for a given volume of product. There will be some questions on the correct way to store different types of chemical. Candidates will be expected to know about different types of plastic and their suitability for use with different types of chemical. Candidates will be required to demonstrate a thorough understanding of pH, concentration, and the relationship between the two. Candidates will be expected to know when to use a pH neutral, alkaline, or acidic product. Candidates will be expected to know the approximate pH of various different types of chemical. Candidates will be expected to explain how to safely raise a vehicle for the purposes of wheel removal. This includes preparing air suspension systems. Candidates will have to describe how to safely remove, store, and refit wheels. Candidates will need to be able to explain how to remove and refit seats safely, including precautions surrounding safety systems. Candidates will be expected to know how to reduce the chance of battery failure, be able to charge batteries safely, and be able to take suitable precautions if jump starting a vehicle is appropriate. Modules one to four are designed to assess technical skills and knowledge, but this module focuses on the professionalism of a valeting or detailing business. The module is split into two sections - a theory test carried out under exam conditions, and a remote assessment of a candidates public-facing media. Car Care companies are required to have a website to pass this assessment. Social media is examined as part of the remote business assessment, but there is no requirement to have social media channels. Candidates will be presented with various hypothetical situations with a range of potential responses to select from. The remote business assessment is carried out by PVD remotely and essentially goes through a checklist on a candidates website and social media channels. A pass maybe awarded on condition that a number of alterations be made within a given time frame (normally 1 month). These can range from simple spelling and grammatical errors, to service description and pricing. Websites are expected to be clearly and logically laid out so customers can easily navigate to key information. Terms & Conditions are expected to be complete and easily accessed - any online booking system should make reference to the conditions of booking. Services should be explained clearly, listing the procedures involved and the results that can be expected. For example, a washing service should not promise 'flawless paintwork'. Any relevant risk should also be clearly presented - for example, if offering a clay bar service without machine polishing, mention needs to be made of the possibility of marring. Service descriptions must not be misleading - if a 'full valet' service is illustrated with a photo of headlight restoration (presuming it is not included in a 'full valet') this could mislead a customer into thinking it is included. Candidates will be expected to have their own text and images on their website. Checks will be run on the websites to ensure content has not been pilfered from elsewhere. Equally the use of stock art presented as a candidates own work will not be acceptable. Any imagery from third parties will need to have appropriate copyright and permissions. For example, the use of a car manufacturers promotional images is not acceptable. Service descriptions should include time estimate ranges. Aftercare information should be accessible to customers - such as coating maintenance. Candidates will be expected to have suitable email signatures to reiterate their professional approach to running their business. Social media profiles should be fully completed - this includes full contact information, appropriate and full descriptions, and suitable imagery. Social media posts should be appropriate and on-topic. Services listed should comply with appropriate terminology to ensure transparency and fair comparison. For example, a 'mini valet' service should not be referred to as a 'full detail'. Any outdated terms should be updated - for example 'chamois dry' should be replaced with more appropriate methods - 'microfibre towel dry'. If service pricing is listed on a website, which is by no means essential, it should be presented transparently. For example, if it is a service for which the price would vary, such as a single stage enhancement, the price range should be given - not the price based on a near-perfect small car. Customers should be informed of factors that may alter prices - heavy soiling and size of vehicle for example. Pricing should be in line with PVD guidelines as a minimum baseline. M1 is a two part assessment involving both theory and practical assessments. The theory assessment is taken under exam conditions and consists of over 100 questions designed to cover all aspects of the wash and decontamination process. The practical assessment involves carrying out a full wash and decontamination on a vehicle under close observation while answering a range of verbal questions. The paint correction module is both expansive and detailed - of all the assessments it is the longest and arguably requires the greatest depth of knowledge. The module is split into theory and practical elements and is designed to test even the most experienced of detailers. Candidates with specific learning difficulties may apply for extra time or assistance from an Assessor such as reading the questions aloud. As this assessment requires longer answers, a computer can be provided on request, though any internet or networking capacity will be disabled. Candidates will have to be able to explain how they would alter their methodology based on different paint types. A thorough knowledge of different pad types will be expected, along with the characteristics and suitable application scenarios for each pad type. Candidates will be required to identify different types of paint defect, their possible causes, and strategies to reduce or remove them - these include defects that they themselves may impart on the surface as part of the paint correction process such as DA Haze. Candidates will need to demonstrate a thorough knowledge of when, why, and how to use panel wipe during the paint correction process. While some would suggest these skills should be left to the body shop, we believe a qualified detailer should be able to both wet sand and touch in paint chips. We have combined these two skills into a single module, and it should be taken once the paint correction module has been successfully completed. Headlight restoration almost always requires sanding stages, and thus it is also part of this assessment. This module has both theory and practical components. Ceramic coatings are now the chosen protection product for many detailers, yet they are often applied badly to poorly prepared surfaces. Thanks to their semi-permanent adhesion, rectifying incorrect application is arduous at best, impossible at worst. Thus this module is dedicated to correct preparation, application, and maintenance of ceramic coatings. There is a vast and growing range of ceramic coating products, some using TiO2, some using SiO2, and some that aren't technically a 'ceramic' coating but exhibit similar properties and require similar caution on application. Both the practical and theory assessment is based on generic principles - there are extra specific considerations for specific products but these can not be tested. Those wishing to apply a specific brand of coating should endeavour to train with the relevant manufacturer. The practical assessment will involve the application of a ceramic coating - the specific product used will be at the discretion of the assessor, but both theory and practical elements will cover a wider range of popular products. These will be updated annually in line with technological developments. As with paint touch up, this topic may be considered outside the remit of a detailer - many detailers outsource leather repair to dedicated specialists just as they might PPF application and PDR. However, whereas the two aforementioned services require considerable and costly resources and dedication to maintain, relatively speaking, leather repair far more practicable. This module covers small area repairs such as burns, rips, and colour fade. It is not designed to test skills that would be expected of a full time leather expert or trimmer. There are a wide range of leather care products available, but a surprisingly small number of manufacturers who offer products and equipment of leather repairs. While product selection is up to the discretion of the assessor, the method of application is broadly the same across different branded products. The module includes both practical and theory components, and will also test advanced interior material knowledge including Alcantara, vinyl, and other specialised fabrics found in automotive applications. The final assessment required to attain the certified detailer status aims to draw in all the skills examined in the preceding nine modules. It also builds on these foundations of car care and adds those extra details that signify an individual at the pinnacle of their profession. Unlike all other modules, this is assessed on a purely practical basis, it also doesn't have any charge associated with it. Candidates will be required to fully prepare a vehicle over two days with their assessor. There is no mark sheet, there are no empirical hurdles to pass - passing this test involves convincing the assessor that the candidate can be considered their equal or near equal professionally. Unlike the other modules, this assessment will involve two other assessors who will evaluate the vehicle prior to work commencing and once the service has been completed. A majority verdict of at least 2:1 assessors is required to pass, though the PVD Advisory Board can hear any appeals and overturn by majority both failures, should the candidate fail, and passes, should one assessor disagree strongly with a pass. This is awarded on completion of all ten modules. To maintain the status as a Certified Detailer, candidates will be required to complete a form annually, listing at least one example of proactive continuing professional development. This could be completion of a third-party training course, spending time working with a fellow detailer, or learning a new specific skill such as PPF application. 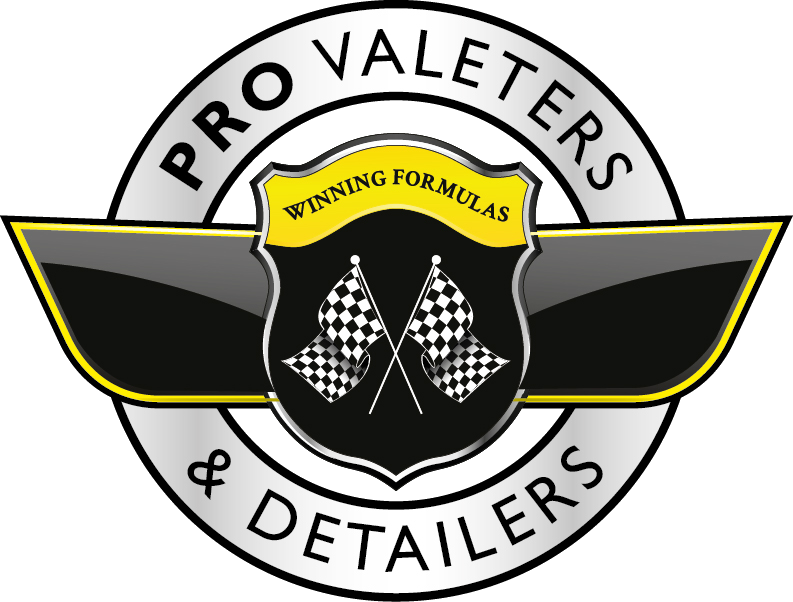 Detailing, both as an industry and a skill, is a fluid entity - new products, equipment, paint types, and methodologies are being continually developed and thus it is vital for even the most experienced detailers to ensure their skill set and knowledge is regularly updated.